Your Soap Base is the single most important part of your soap recipe. However, there are many other things you can put in your soaps to give them fragrance and change their properties. Some of these additives make the skin soft, like coconut oil, and others, such as many herbs, can calm or even energize you. This is what Aromatherapy is all about. You can use herbs in a variety of ways in soaps. You can add them in fresh or dried, keeping in mind that dried herbs are much stronger than fresh herbs. The best option for most is to use essential oils, which only require a few drops in the soap mix. 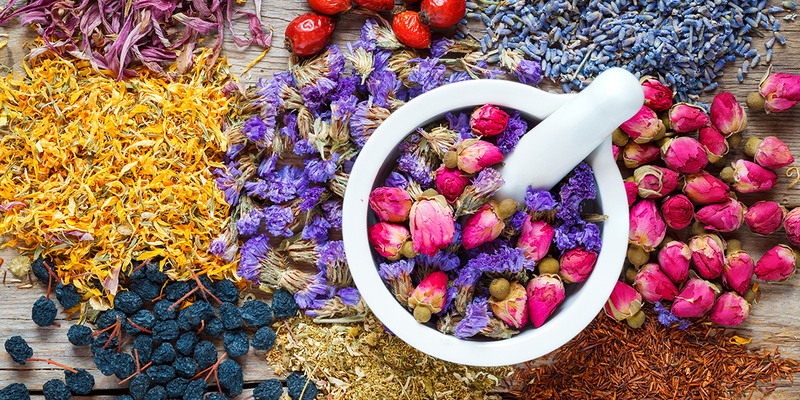 A combination of Essential Oils and herbs can be can be a wonderful sensory experience for your customers! 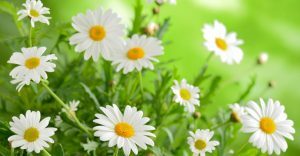 Chamomile is the classic calming herb to use in a soap mixture. Chamomile flowers are used to extract that calming, gentle floral fragrance that is so familiar in our nighttime teas as it is so effective at relaxing our body and the mind. It also has antibacterial properties, as well as anti-inflammatory properties and is safe for children and babies who are having trouble sleeping. An herb that not everyone associates with its calming effects is Clary Sage. It has a revitalizing effect on the body and mind, and it helps to melt stress away and is especially helpful to women who are having reproductive issues and hot flashes. Soaps will have a sweet and nutty scent that pairs well with chamomile. Lavender is a classic calming herb, but it is not recommended for children as much anymore. The scent of the herb has sedative effects, and using the essential oil has even stronger effects in soap. It works wonders for anxiety and stress, and it can help to ease pain. Soaking in a lavender bath offers many benefits for both men and women. Orange oils are one of the most popular cleansing agents. The scent of the peels refreshes the mind and body. The citrus scent works best mixed in with other herbs in the soap. When using it, make sure to add extra additives that are calming, to balance out the refreshing effects of the orange peels. Lemon Balm is a great herbal additive to a calming soap. It has a delicate, minty, citrus scent that calms the nerves, and it can help with depression. Lemon balm has antibacterial and antiviral properties, which make it a great additive for soaps. The concentrated oil is extremely strong, a small amount will go a long way. Each of these additives works wonders on its own, but they can also make excellent soaps when combined. When adding these herbs and essential oils, don’t forget to add in ingredients such as olive or coconut oil to keep any of the herbs from drying out the skin.